Despite temperatures in the mid-30s, about 200 people jumped into the new year Tuesday morning wearing only bathing suits. "You feel it in the heart, you get kind of that shocked feeling, but it goes away quickly," said Mike Schwietz, Scott Sullivan Scholarship Fund board member. 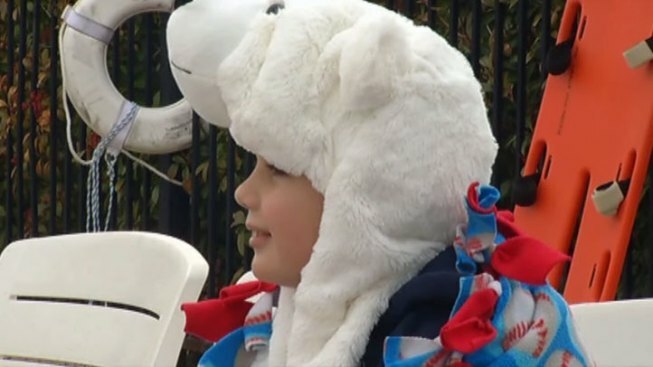 For the fourth year in a row, he hosted a polar bear plunge to benefit the nonprofit. It raises money to support academic and sports scholarships, as well as for organizations that support athletes with special needs, such as The Miracle League of Frisco. The fund is a way to remember Frisco father and husband Scott Sullivan, who died at age 40. "Scott, a neighbor of ours, was a really benevolent guy," Schwietz said. "Unfortunately, we lost Scott at age 40 on New Year’s Day five years ago today, and we wanted to keep that memory going of what Scott did." Schwietz remembers his neighbor as someone who would reach into his own pocket to make sure a young athlete in need had the tools to succeed. "He’s shining down on us, smiling," he said. "It’s his special day." Over the years, support has grown for the annual tradition. The nonprofit has raised more than $30,000 to support its various causes.